There is a great deal of confusion surrounding Streaming. The media tend to think of it as listening to Spotify or even YouTube through apple ear buds. The assumption is that it’s about convenience and not quality and that is only half true. The first thing we’d like to say about streaming is that it is fantastic and I say that as an audiophile! The second thing is that we can help; we’re a specialist and that means we can make your choice and set up painless for you. We will ease you into better enjoying your music collection. We’ve been streaming for a long time! Since 2007 in fact when we first heard some high resolution audio files and we realised that potentially, listening to music had taken a massive step forward. In fact you don’t actually need to know any of this stuff; after all you can drive a car without knowing how a combustion engine works. But we know you have an enquiring mind and like to at least know the basics. As a result we want to provide you with as much information as possible. In any event we’re here to help you through every step of the process and will ensure that you have the right bits in the right places and all is well. But for those who like to know more or who are computer orientated then please read on. For many people Streaming is listening to your own music collection but without using a CD player. In practice you are listening to your own music stored on a storage device and connected to your computer network. CD players are starting to disappear from companies product range. Those that made many now make none or just one. CD players were also inherently one of the least reliable components in an audio system. Streamers have no moving parts and as a result are very reliable. Streamers also allow you to enjoy subscription based online music suppliers but at resolution that isn’t compressed. In fact both Tidal and Qobuz offer performance which is better than CD! And YES you can hear the difference. This means that for less than £20 a month you can listen to all the music you could ever want at CD quality and without the workload of “ripping” all your CD’s to a music library. Hundreds of thousands of albums and new material (and old) being added weekly. If you use iTunes and have your laptop or computer connected to your audio system then you are already streaming in a simplified form. The days where you’d walk into a room to be greeted by a vast collection of vinyl, CDs, and DVDs stored lovingly on a bookcase are disappearing. Many people are freeing up space and embracing the freedom of the digital medium. CD players are in decline and eventually the CD format will disappear from the shops. But that doesn’t stop you getting the best from your CD collection by streaming it and we’ll explain how shortly. Why would I want to Stream? Sound Quality & increased reliability – no moving parts! Easy, convenient access to all your music easily and without physically having to get up and find it. The larger your music collection; the harder it is to find the music that you want to listen to. It will allow you to listen to High Definition music which sounds dramatically superior to CD’s. Improved sound quality that equals or can better the very best CD players. If I am already “streaming” via iTunes connected to my stereo why do I need do anything else? Because iTunes is built around MP3, a format that just don’t cut the mustard. The use of compression means that data is lost in the encoding process, which means resolution is sacrificed for the sake of convenience and smaller file sizes. This might be fine on the bus when you’re listening to your iPod or smartphone, but if you are passionate about music you’ll want better. Do a little experiment; listen to your ipod connected to your stereo system and then listen to the same music on a CD. The difference will be huge. Sure the iPod has all the advantages of ease of use and portability and a lovely user interface but for sound quality it is lacking. Why not have the sound quality of the CD (or better) AND the convenience of the iPod. That’s what Streaming offers. 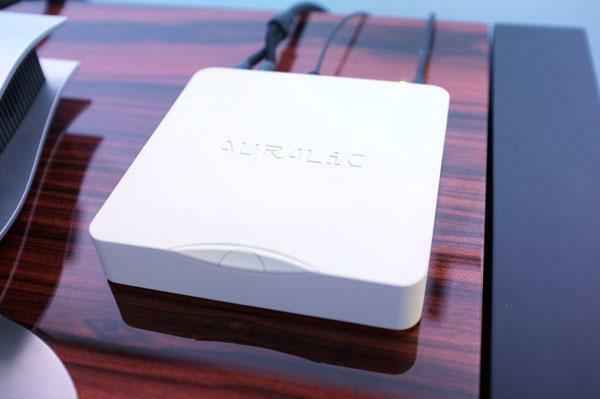 The Auralic Aries mini allows all the benefits of streaming for only £449. Listen to any radio station in the World. Search by country, genre etc. Radio comes of age. This is a fast growing and useful way to discover new music. Basically you are paying to browse an immense music library for a small monthly subscription. Spotify is the biggest but it uses compression. Tidal & Quobuz on the other hand has a smaller library but is lossless and much better sounding. 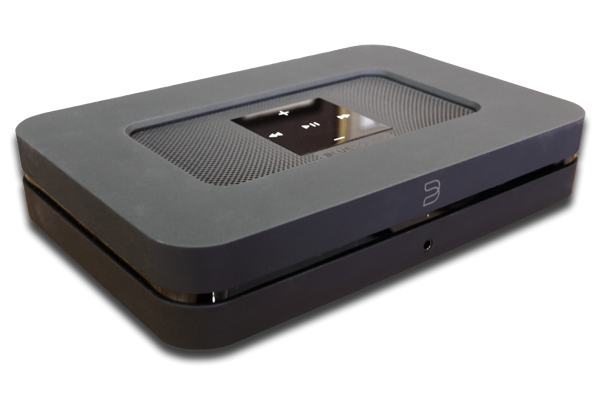 Bluesound Node 2 is an affordable streamer £499. 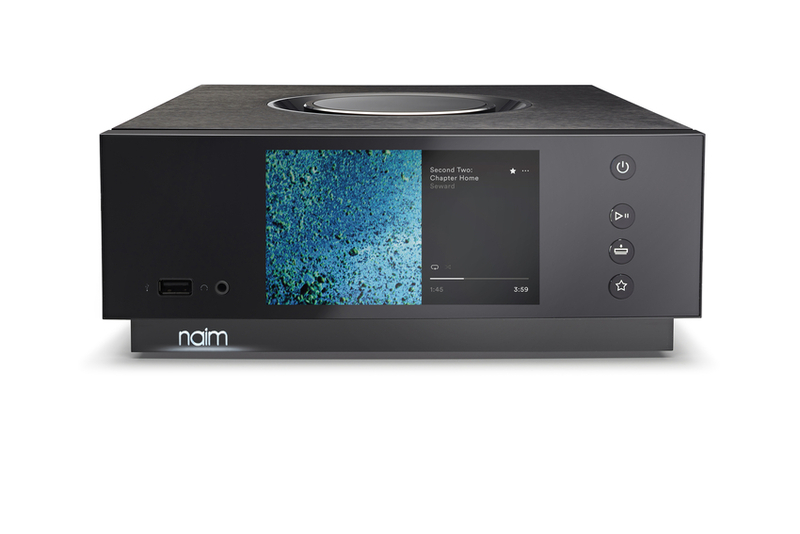 “To stream you need; internet, a streamer and storage for your music library. Or you need a Tidal subscription”. Setting up a system for streaming audio is a lot less daunting than you would think. In theory, there are only a few different components required to bring everything together. And many of the components you need you will already have. The basic essentials are a computer, a broadband wireless internet connection, a Streaming music player, amplifier, speakers, and of course your music. Of course if you are starting from scratch you can choose an all-in-one unit instead of having separate boxes. Click here to discover what you need to stream.